Project managers are the people keeping the Scandiweb ship afloat. Long days and longer nights spent in communication with clients and their teams, making sure the projects delivered are spotless and on time - these people selflessly and tirelessly strive to provide the impeccable solutions Scandiweb is known for! With this episode, every PM in Scandiweb now has a story! Check out the other episodes here and here ! When she was younger, Aleksandra was convinced that her parents were messing with her when waking her up in the dark mornings during winter time — she always thought it was still nighttime! Now she’s a Project Manager, having become one after being a developer with Scandiweb for 6 years! With her days consisting of work with clients and her team, Aleksandra’s calling card is quick and impactful solutions, achieved through prioritization and efficient task management! 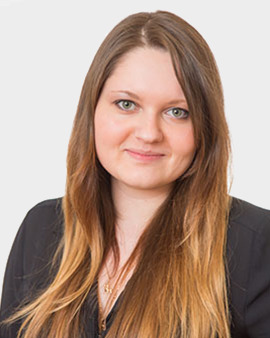 Aleksandra’s wealth of technical knowledge, as well as her global perspective and natural helpfulness, make her perfect for her position as a knowledgeable team lead and an incredible problem solver. Movies of all sorts often take up the little free time Aleksandra has and she’s got a sweet spot for the fantasy and detective genres. Another passion of hers — orientation games and activities, especially those taking place at night in fascinating places, such as derelict factories/warehouses, and involving clue searching and puzzle solving! At Scandiweb, you’re welcome to work on what you want to, as long as your proactive in making your desires clear & heard, which is something Aleksandra really likes about her work. Management likes to make sure people are satisfied and find their niche, or have the freedom to escape mundanity by trying something new! When he was younger, Rolands wanted to become Batman, but his life took him in another direction and he became the next best thing — Scandiweb’s Support Department director/Project Manager. With his day-to-day consisting of team guidance, client on-boarding, and cooperation, as well as invoice and support finance management, Rolands is the backbone of the Scandiweb machine. Keeping things light is a necessary skill when providing guidance for as many people as Rolands and balancing work and fun for the team and sometimes himself is what helps maintain great morale and a clear direction. Rolands’ own positive outlook, stress resistance and enviable ability for long-term multitasking are what help him excel in his duties! Not one to sit on his hands, Rolands enjoys all sorts of activities during his free time, from physical ones, such as cycling and SUPping, to more travel related ones, such as going on road trips and generally wandering around and exploring Latvia. Rolands’ favorite thing about Scandiweb is the freedom of taking responsibility, or, in other words, proactivity is encouraged and rewarded. If you have a great idea or project, you will find the support necessary to realize and implement it! At a younger age, Aleksejs thought that there will be plenty of time to learn and experience everything there is to know and try — a belief dissipating as time goes by, being replaced by understanding the importance of making the right choices. 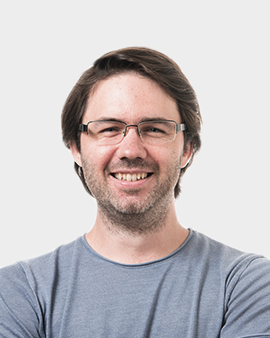 Now he’s a Project Manager, working with teams, clients, products and projects, oftentimes starting with nothing more than an idea and making sure that the outcome is the best possible result, even long after the Go-Live. 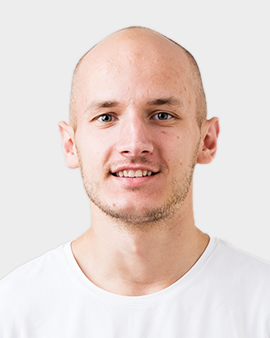 With years of experience, pedantic attention to details and a solution-oriented managerial style — any individual’s problem is the whole team’s problem — Aleksejs tackles projects with resolute efficiency and ability. Aleksejs enjoys active recreational activities, highlighting downhill skiing as a personal favourite. Discovering his own limits through physical and mental challenges and trying to push those limits to new levels, Aleksejs strives for bettering himself and getting the most out of life. Also, he’s a very supportive person, who understands people very well — a perk for colleagues, clients, as well as friends and family! 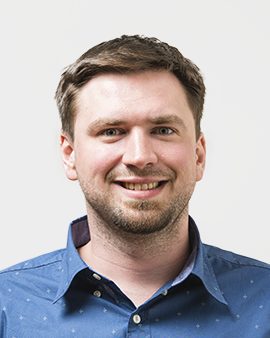 At Scandiweb, Aleksejs likes the interesting work and projects, as well as the challenges, however, his favourite thing is the team spirit — people are helpful and driven, always working toward a shared goal, understanding that it’s a team effort! When Edgars was younger he didn’t understand why the Christmas tree needs to be taken out of the house soon after Holidays were over. He was always trying to battle his parents to keep it a bit longer! Now he’s a Project Manager at Scandiweb, which means he is a universal soldier — having to act as a mediator, fight for his team, understand all sides and stay on top of his own ever-changing schedule. The main foundation for Edgars’ success in this position is building a good relationship with the team to make sure they are comfortable & always willing to confide in him and each other. Talking out difficulties and sharing struggles helps solve them quicker and makes everybody better off! In his free time, Edgars likes to cycle and run — keep himself active and busy! Edgars has also recently picked up a fiery interest in DIY projects, building new things and learning useful skills. His speciality, however, is heavenly Sunday morning pancakes — a talent especially appreciated by those close to him! Edgar’s favorite thing about Scandiweb is the atmosphere/work ethic of people — nobody has to press people to do work — they know why they’re here and they strive to shine. This translates into trust & freedom to let people do things their way because they will do it, and do it exceptionally well! Scandiweb Team Stories Episode #17 was originally published in Scandiweb Stories on Medium, where people are continuing the conversation by highlighting and responding to this story.